You might need to do this if you’re moving to a new permalink structure and need to 301 redirect the pages. For large sites, a lot of time can be saved by making good use of free sitemap generators online and excel. A bunch of the online sitemap generator tools either ask for your email or have a maximum number of pages that they index. This one: www.xsitemap.com is my favorite since it works well, doesn’t ask for an email, and as far as I can tell, has no limit on the number of pages. I just ran it for a site with 2500 pages. It took about a half hour. After it’s finished, you have two options for grabbing the data. Either you can copy and paste from the readout or download the file provided. Once you’ve pasted the data into excel, use the find/replace function to eliminate all the data you don’t need. For 301 redirects, you can get rid of anything extraneous, which means everything prior to the suffix, including the root domain. Hello, Neat post. A good solid webmaster strategy. Great post! 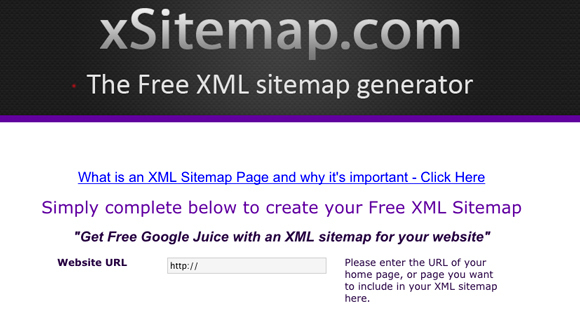 Thanks for the sitemap site. Saved me hours! This is a really interesting strategy, although I am still trying to get my head around it, to understand it better. Thank you, Ryan. I needed the list of my website URLs for SEO purposes. Your trick worked. Thanks for the resource. This is the best one I’ve ever used. I love the fact that it will do more than 500 urls. looking for advance version of this feature. also i want to view links upto certain level, basically i can give criteria to exclude some of sub links. I have a website which is password protected. When I enter URL as http: //Loginname:Password@URL it gives only 23 pages where in reality there are more than 3000 pages. Thanks for this post!! You have saved my time. What about a local server website? which is hosted from a computer on Local network?? Screaming Frog will do the trick. Thank you for this awesome writeup! What about subdomains? How do I probe them?